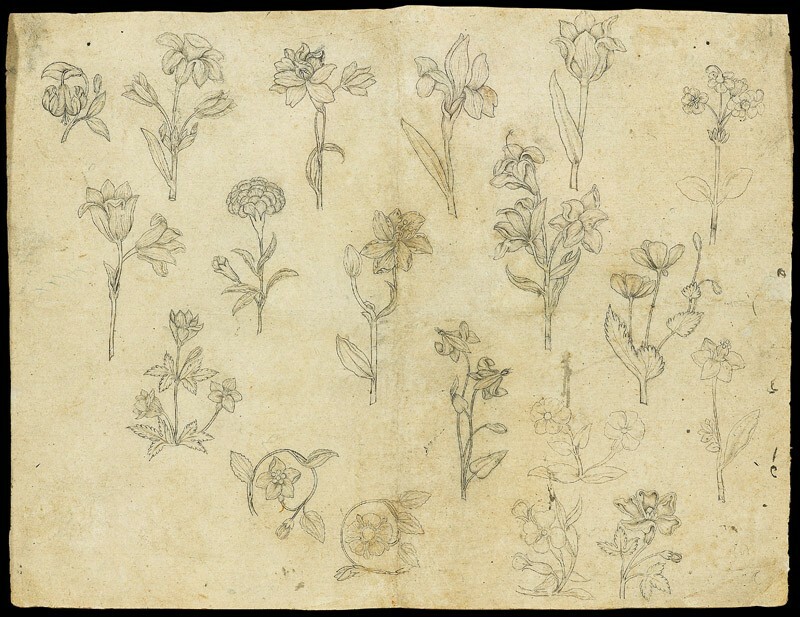 This rare surviving sheet of Mughal flower studies includes specimens of lilies, narcissus, iris, tulip, carnation, poppy, anemone and campion among other flowers. 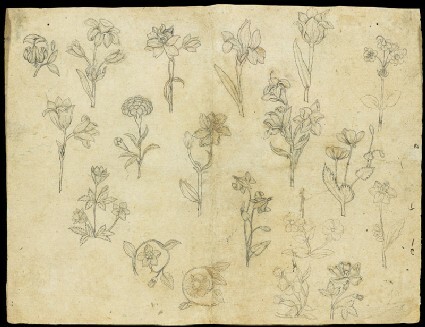 They show varying degrees of naturalism or artifice. A few are imaginary or composite creations, of a kind found in the floral repertory of Mughal architectural ornament, textiles, metalwork and other decorative arts.